Four famous Georgia cemeteries—plus four lesser-known plots worth a visit. Georgia Travel Guide is the essential guidebook for vacationers planning a trip to the Peach State as well as for Georgians who want to explore new corners of their home. 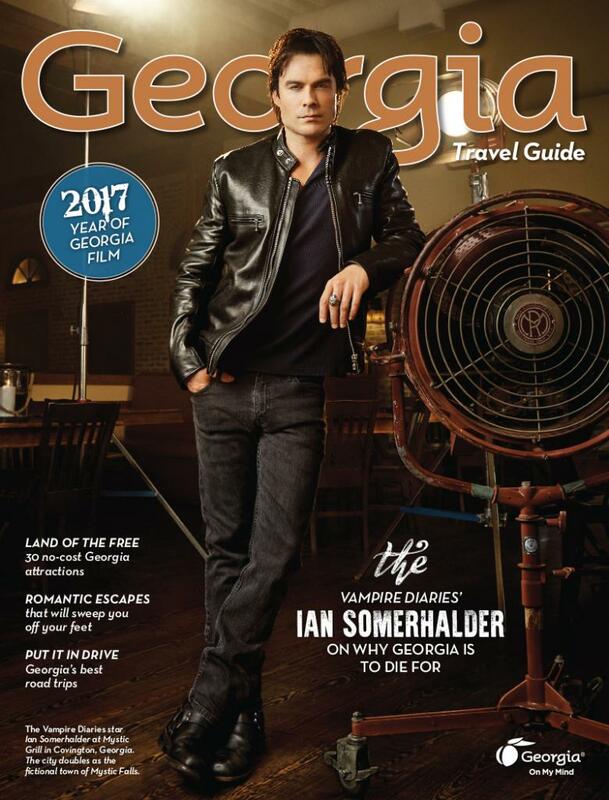 Georgia Travel Guide highlights each of the state’s nine regions and gives visitors comprehensive details on where to stay, eat, and shop and what to see and do during their travels in Georgia. The official publication of the state of Georgia, the guide is distributed at visitors centers across the state. With a deep pool of award-winning talent and a variety of recording and production facilities (over 300 recording studios) Georgia is positioned to support the evolution and expansion of its influential music industry in the digital age. Ray Charles, Luke Bryan, Gladys Knight, Lady Antebellum, Outkast, Sugarland, T.I., and countless others are on the roster of international music super stars that hail from Georgia. With an economic impact of over $5 billion in 2014, "The Peach State" is definitely camera ready. The Hunger Games, The Blind Side, Trouble With the Curve, and Tyler Perry's Madea films were all shot in Georgia. Primetime scripted and reality television shows are also filmed in the state, including: AMC's The Walking Dead, VH1's Love & Hip Hop Atlanta, Lifetime's Drop Dead Diva, Bravo's The Real Housewives of Atlanta, and Fox's Red Band Society.